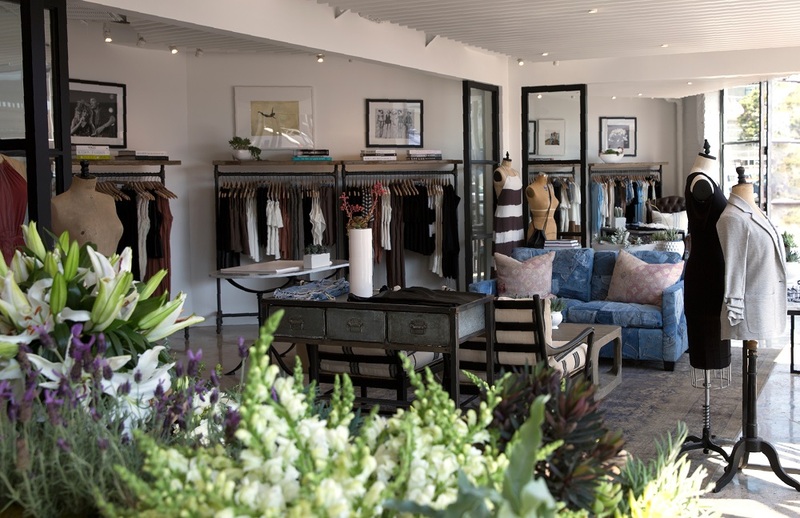 Taking inspiration from the day-to-day life of the core Bailey44 woman, the brand’s first standalone retail concept is modeled on a chic private residence, one that is modern, raw and slightly industrial. Inside, wood and glass windowpane partitions divide the space into individual rooms, such as the den, living room, gallery and pantry. A raw concrete floor perfectly complements the exposed ceiling, glimpsed from between the wooden fins of a second, dropped ceiling. 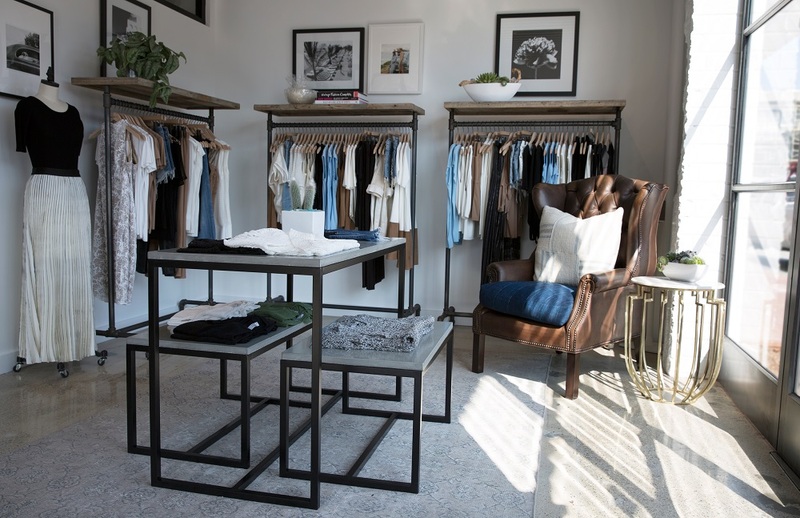 White upholstered furniture and nesting tables fill the space, while weathered oak and black metal pipe fixtures display merchandise. To the back, fittings rooms have been designed with low partitions and curtains to allow natural light to filter in. 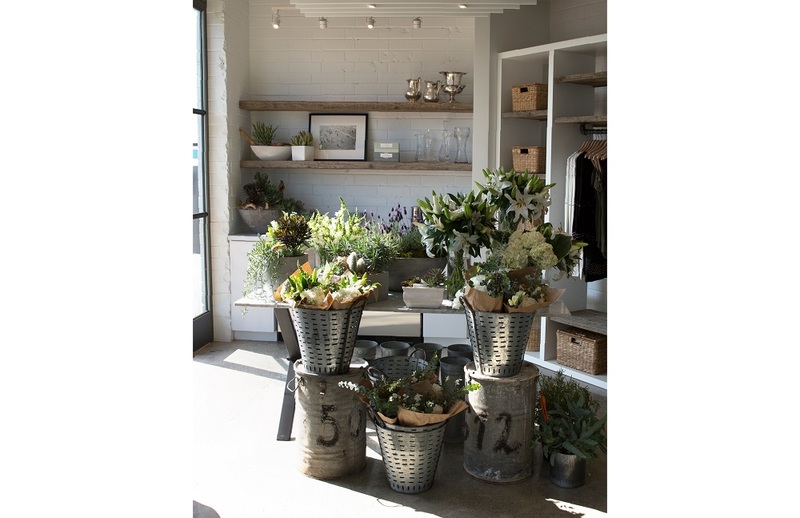 The exterior and interior storefront is clad in white brick, which wraps around the entire 2-sided façade of the corner location and extends to the pantry, where a local florist has set up shop. 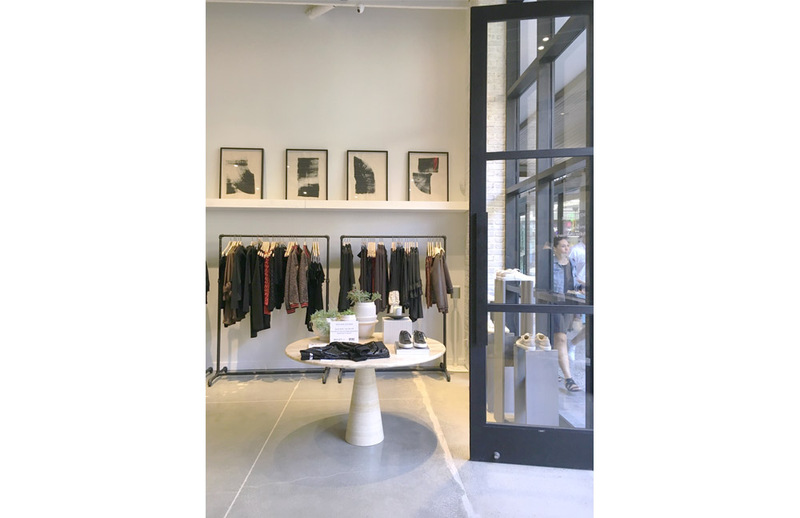 Black metal and glass doors open out from both walls of the storefront onto a picturesque courtyard and pond. 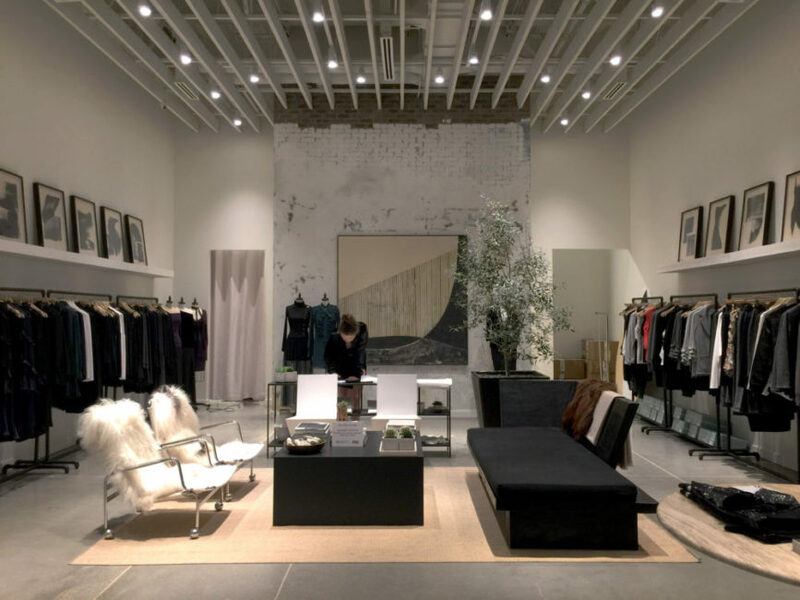 The intent of the concept is not to limit the merchandise within the confines of a retail store but rather, to envision and project the brand within the home and in the closets of Bailey44 customers, perfectly integrated. 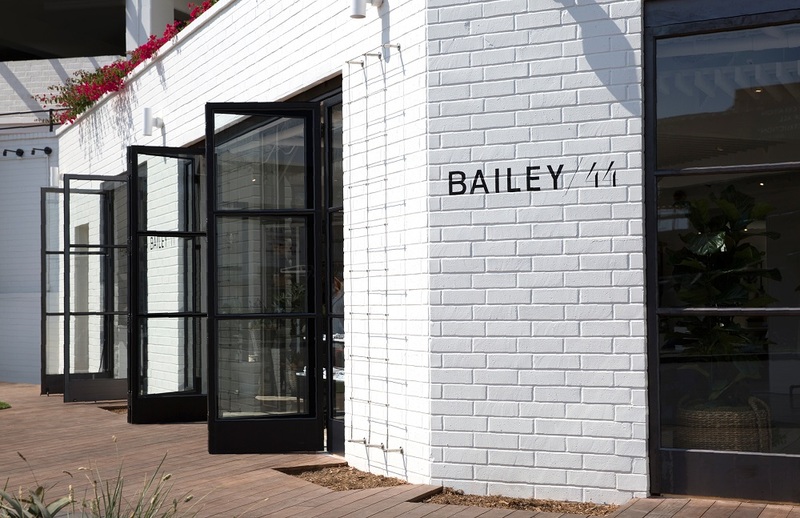 KPA has provided design development, construction documents and administration services for Bailey 44 at both of their brick & mortar locations in Southern California.